I am considering revivng the trivia section shortly. Let me know how everyone feels about it. It won't be as frequently as Newfies but I think it was fun. Also if anyone has obscure trivia they would like to consider e-mail me at nxthome1@adelphia.net. I for one would love to see this return, It was so much fun, I have a few trivia items Ii'll dig through. Will this be Aztek related, automotive related, general trivia, etc? Either way it will be a blast. What happened to Newfie hauler?? Newfie decided to take a break from the site. 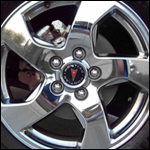 The trivia I'm going to do will cover it all, Aztek trivia, Pontiac Trivia, GM trivia and General trivia. I'm going searching and don't be surprised if some old trivia questions come back. I'm going to print then delete all the old trivia!! HEE HEE!!!!!! what happens when people take a break from the site? do they get new cars or something? Joshua Parker driver of Jack-2005 fusion orange aztek, blaupunkt monterey mp35, xm sportscaster hardwired in(i've got pictures), yokohama geolander tires, short ram intake with illegal k&n filter, red painted calipers, centric premium rotors. I had thought of doing a Movie Trivia, but just don't have time to pull it together. Newfie's trivia was great, but kinda difficult for the non-gear heads. They make board games of that. Ehh, as long as we still have an Aztek trivia you can have whatever kind you want...just give me my Aztek stuff. Aztek Pursuits, the board game? :rolleyes: ... can I get that on eBay? Or Amazon? Let's do it, trivia is fun! Could we all PM answers to just more than one person can get points for "a/each" question. That creates such a gap for those who can't post too often. The one nagging question I have always had was ( Why did they spell it AZTEK?) How did they come up with that name? To make you think ELisha, to make you think!!!!!!! !